Productions are in flight again around Toronto, utilizing our snowy conditions. Taking advantage of a snow-free afternoon, several stars in town working enjoyed milder weather for once. Filming for Netflix Feature Let it Snow has been underway and it stars a talented, young up-and-coming Cast including Odeya Rush, Kiernan Shipka, Liv Hewson, Shameik Moore and Isabela Moner. Based on the Book by John Green, Lauren Myracle and Maureen Johnson, the Romantic-Comedy centers on a group of people brought together by a snowstorm on Christmas Eve. 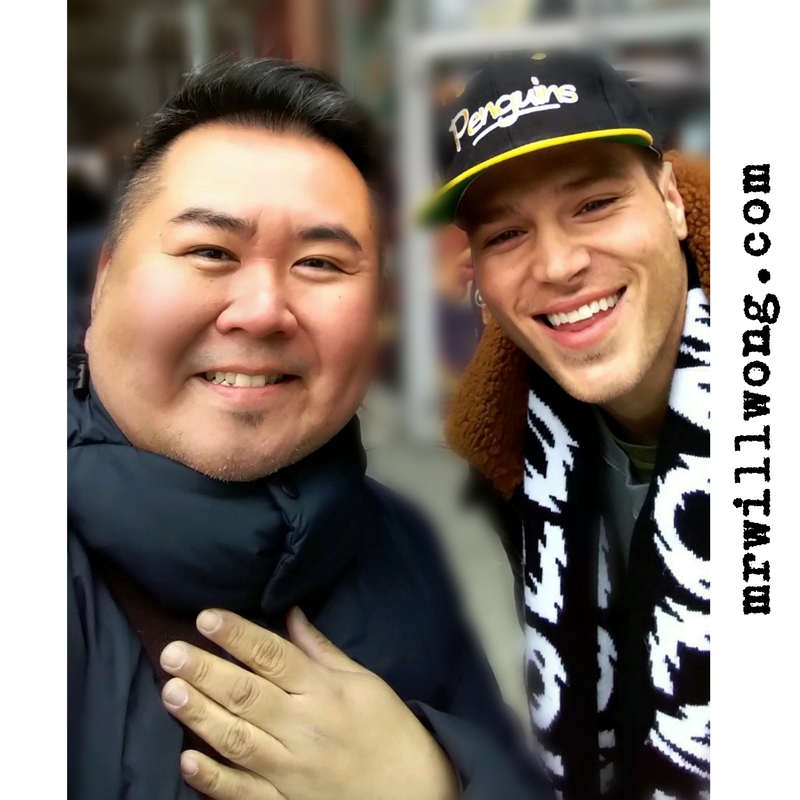 We spotted Matthew Noszka (Star), Moner (seen next in Dora The Explorer), Shipka (The Chilling Adventures of Sabrina), Rush (Lady Bird) and Moore (Spider-Man: Into the Spider-Verse) out and about. The Production wraps end of March. Spinning Out centers on a figure skater on the comeback trail as a Pairs skater, after sustaining an injury. 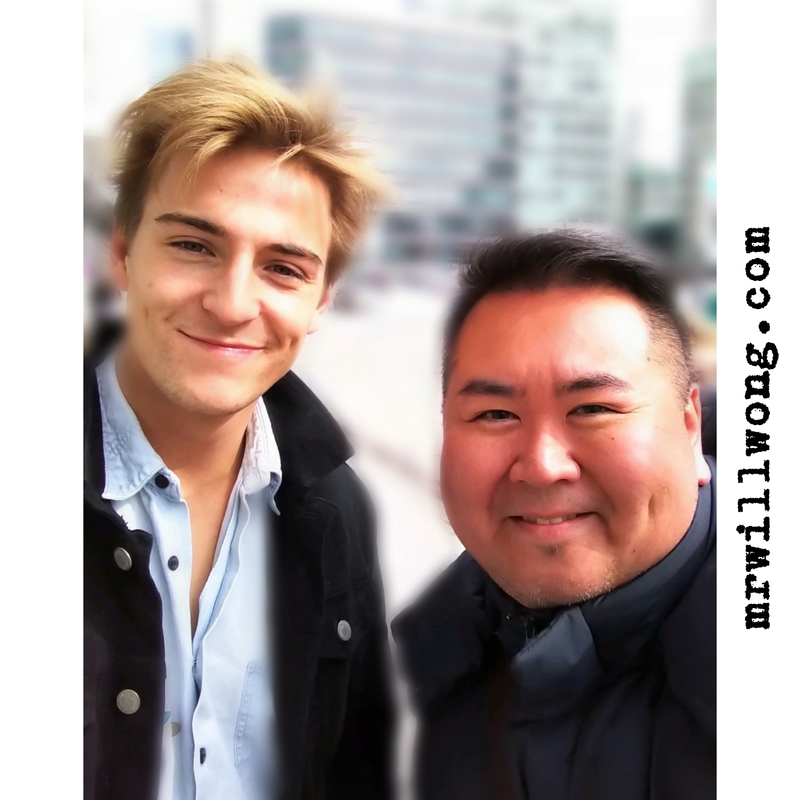 The Netflix Series wraps in May and we spotted stars Willow Shields (The Hunger Games) and Evan Roderick (Arrow) earlier out and about. The Series stars Kaya Scodelario (The Maze Runner) and January Jones (Mad Men) also. This Netflix Series based on Joe Hill’s Comic Book Series, is about three siblings brought together after their father’s gruesome murder. They discover a set of keys which must be used against an evil creature looking to hold power and possess the keys. Connor Jessup (American Crime), Jackson Robert Scott (It) and Emilia Jones (Brimstone) star. We spotted Laysla de Olivera out, and she appears next in Toronto-made Code 8 starring cousins Robbie and Stephen Amell, which also is set to stream on Netflix. Executive Producer Andy Muschietti (It, It: Chapter Two) is no stranger to Toronto having directed both Blockbusters here. Green Book star Viggo Mortensen makes his directorial debut in Falling, which sees a conservative father who moves in with his gay son and his family in Los Angeles. 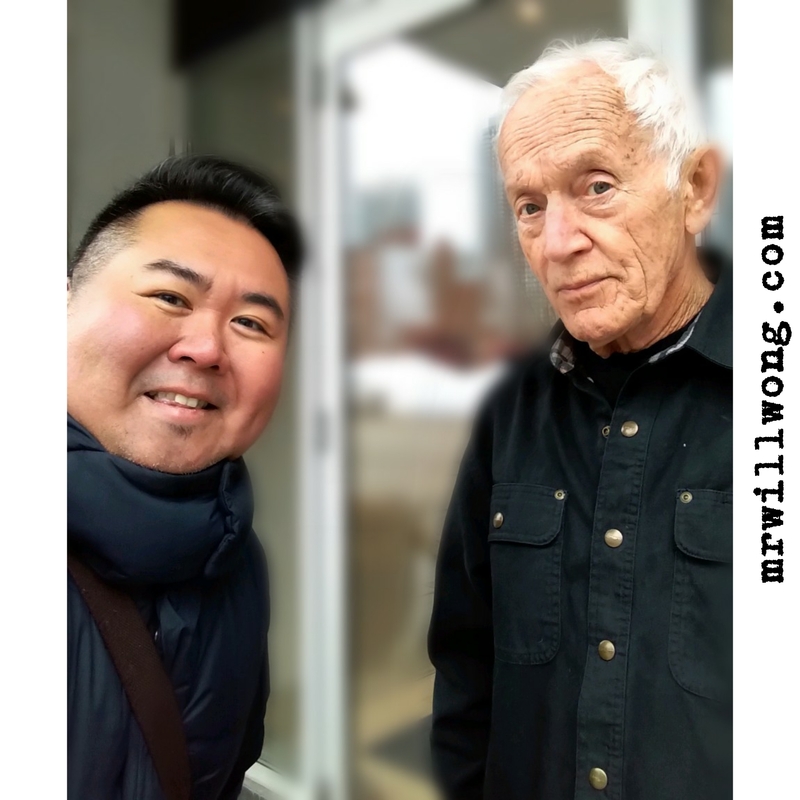 Veteran Actor Lance Henriksen has been at work in Toronto, being greeted personally by his Co-Star and Director at the airport upon arrival. The Production wraps late April. Golden Globe and Primetime EMMY winner Elisabeth Moss certainly is a busy woman, currently filming season three of dystopian Drama THE HANDMAID’S TALE till April. Moss was just at SXSW in Austin promoting Jordan Peele‘s upcoming Film, US. 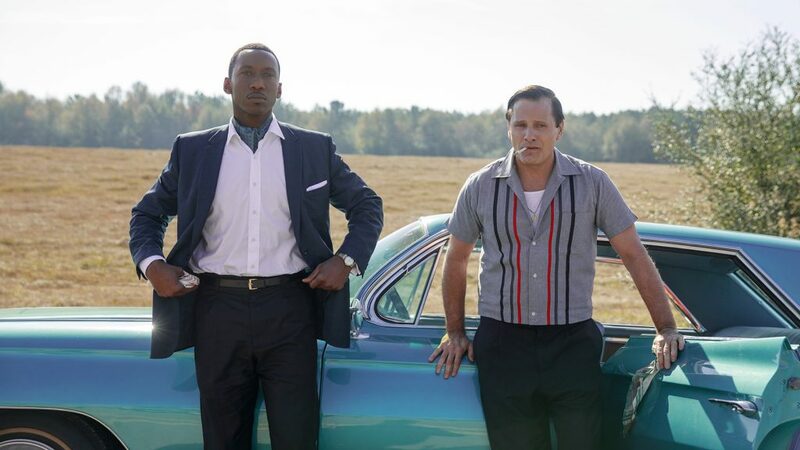 Universal Pictures Home Entertainment x Mr. Will want to give Canadian Readers a chance to win Academy Award-nominated GREEN BOOK on Blu-ray! To enter to win, click “like” on this Post at MR. WILL ON FACEBOOK. Re-Tweet this Contest Tweet from @mrwillw for another shot! Contest open to Canadian Readers only. 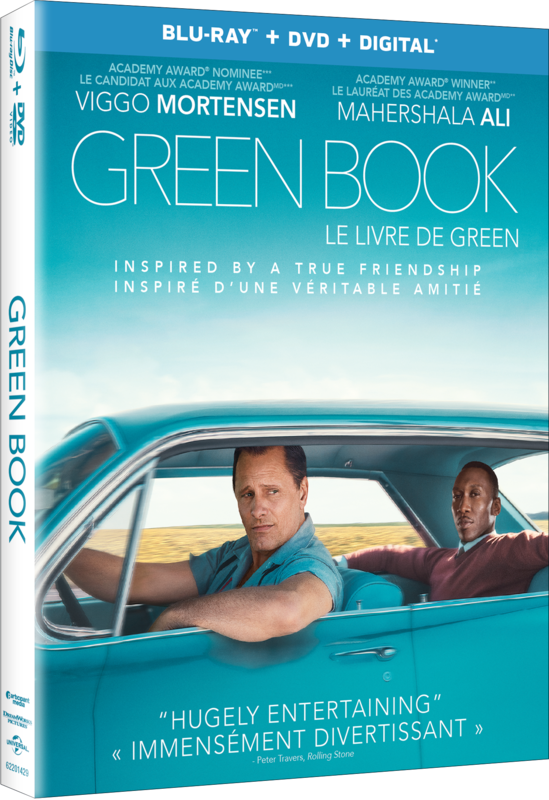 Universal Pictures Home Entertainment release GREEN BOOK on DVD, Blu-ray and 4K Ultra HD Tuesday, March 12, 2019. It is out now digitally! It has been to coldest, most unforgiving Toronto, winter so forgive us that we would rather be home than out! Productions continue to move along at a steady pace with a pair Netflix productions highlighting the pack. Lovely meeting #WillowShields, in-town filming new Netflix figure skating Series, #SpinningOut. You know her as #PrimroseEverdeen from #TheHungerGames Series! Spinning Out and Comedy Let it Snow fully utilizing our wintry weather. Spinning Out is a Series starring Kaya Scodelario (The Maze Runner), a seen-above Willow Shields (The Hunger Games) and January Jones (Mad Men), about an injured figure skater with a secret on the comeback trail as a pairs skater. The Series wraps early May. 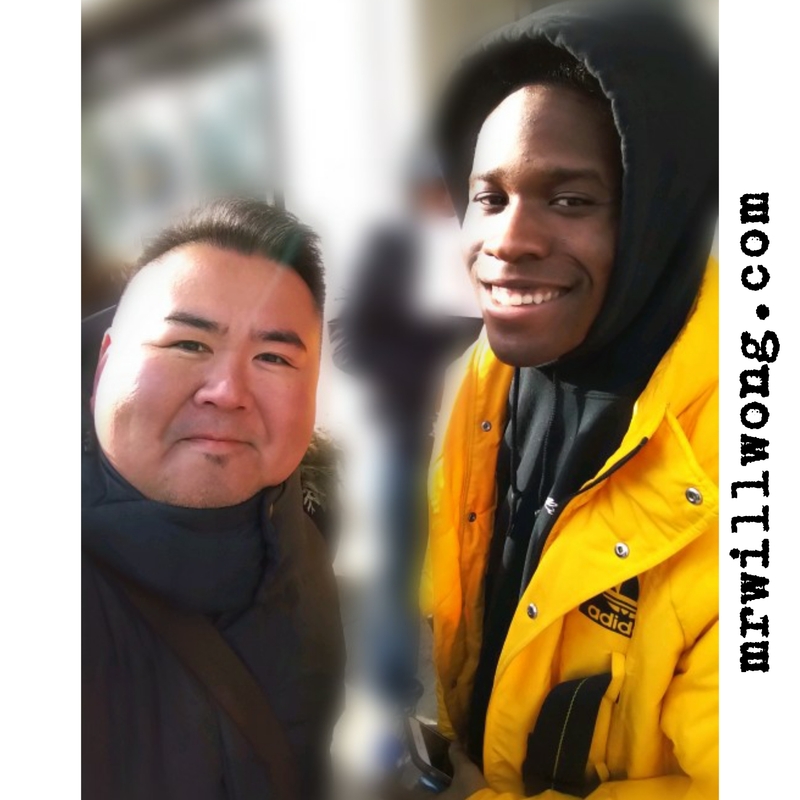 Let it Snow stars Shameik Moore (Spider-Man: Into the Spider-verse), Kiernan Shipka (Chilling Adventures of Sabrina), Liv Hewson (Santa Clarita Diet), Odeya Rush (Lady Bird) and Isabela Moner (Instant Family), and is about a group of people who are brought together by a snow storm. It wraps end of March and will stream on Netflix. 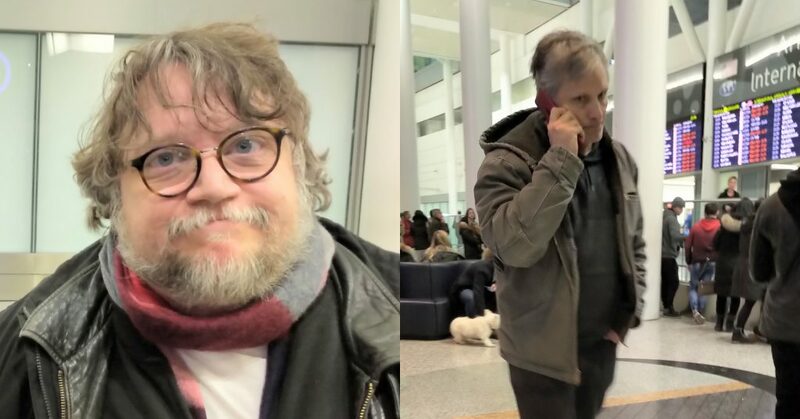 Academy Award-winning Filmmaker Guillermo del Toro must be lauded for what he has done for Toronto, creating many jobs and opportunities for our City with his unparalleled vision, which continues to touch the World. Known for his Films Hellboy, Pan’s Labrynth, Pacific Rim, Crimson Peak, Blade II and of course, Best Picture-winning The Shape of Water. Who knows what genius he is brewing-up again in the City, but we cannot wait! And it for sure will be huge. When #ViggoMortensen realizes you are sneaking a pic of him chatting on his – get this – red flip phone, and he walks right up to you and then onwards to psych you! I was morten-fied! The #GreenBook Oscar Nominee in #Toronto working on #Falling was picking-up his friend and Co-Star #LanceHenriksen, which is about a conservative father who moves in with his gay son’s family is Los Angeles. The two met with a big, joyful hug after Viggo paced around for about two hours waiting for his buddy. Viggo Mortensen certainly is a busy man, juggling Awards Season and his directorial debut which happens to be set to film in Toronto. He was spotted at Pearson International arrivals, not himself arriving, but picking-up. I think he realized I was sneaking a pic of him chatting on his – get this – red flip phone, and he walked right up to me to psych me out and then walked onward! I was morten-fied! The Green Book Oscar Nominee who is in Toronto working on Falling was picking-up his friend and Co-Star, veteran Actor Lance Henriksen (Aliens), which is about a conservative father who moves in with his gay son’s family is Los Angeles. The two met with a big, joyful hug after Viggo paced around for about two hours waiting for his buddy. We are thrilled to be Los Angeles-bound this weekend for some Awards Season fun and wouldn’t be surprised if we saw Viggo or maybe even Shameik (Spider-verse is up for Best Animated Feature)! Don’t forget to tune into Hollywoood Suite, the exclusive broadcaster of this weekends Independent Spirit Awards, 2 PM ET/5 PM ET! Follow them on Twitter @HollywoodSuite for coverage and also follow us too as we’ll be on the Carpet: @mrwillw. 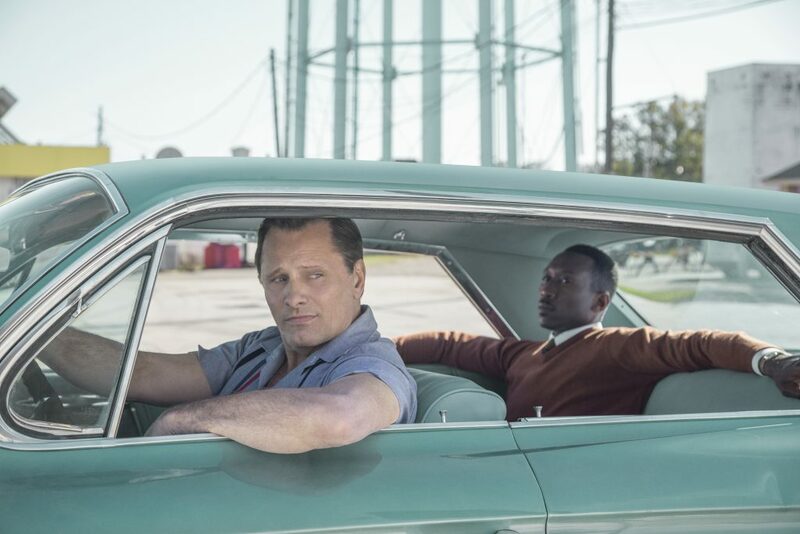 Universal Pictures Canada x Mr. Will want to give Readers a chance to see GREEN BOOK, winner of the TIFF ’18 People’s Choice Award. Screenings take place in Toronto, Vancouver and Edmonton on Monday, November 19, 2018. To enter to win, click “like” on this Post at MR. WILL ON FACEBOOK and indicate your City and tell us, have you ever judged a book by its cover in a bad way and been pleasantly surprised? Click “share” on this Post from there for an extra chance! 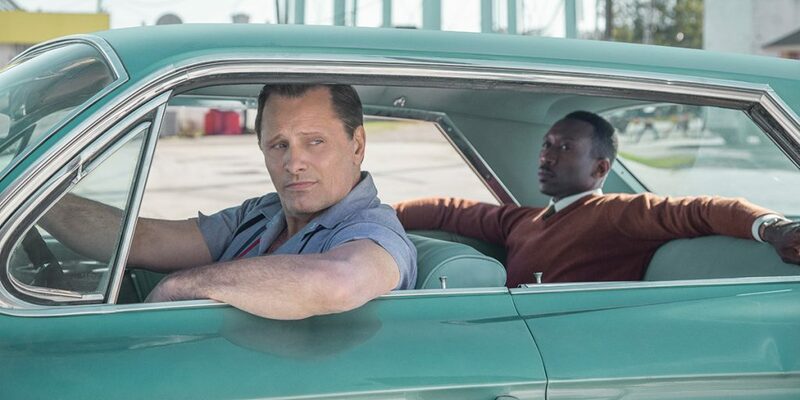 Universal Pictures Canada release GREEN BOOK Wednesday, November 21, 2018. While known much for his funny Films, Peter Farrelly, one-half of the Duo which brought us classics There’s Something About Mary and Me, Myself & Irene, gifts us at TIFF ’18 with the Sleeper Hit of the Festival, GREEN BOOK. The heartwarming Comedy details the unlikely friendship between a Concert Pianist Don Shirley (Mahershala Ali) and his bouncer-turned-chaffeur Tony Lip (Viggo Mortensen). While from completely opposite worlds, it is impossible not to be charmed by the back-and-forth banter between sophisticated Don and tough-talking Tony in this witty Script by the latter’s actual son Nick Vallelonga, Brian Hayes Currie and Farrelly. Performances are outstanding from our leading Trio. Mortensen continues to build his stellar catalog of work and is pitch-perfect throughout the Film’s light and heavier moments which don’t shy away from matters which still are true today. Ali is remarkable as Shirley, capturing his strength and fragility – we were spellbound. Cardellini while under-written and under-seen is a joy every time she is on-screen. We are thrilled for audiences to discover this gem, giving TIFF ’18 a much-needed lift of spirits. 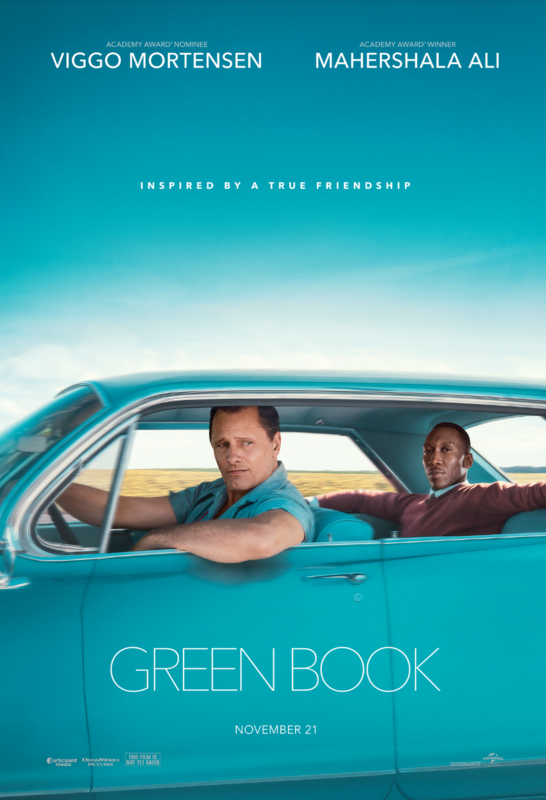 GREEN BOOK screens Thursday, September 13 Winter Garden Theatre 2:30 PM and Saturday, September 15 Princess of Wales Theatre (VISA Screening Room) 3 PM. 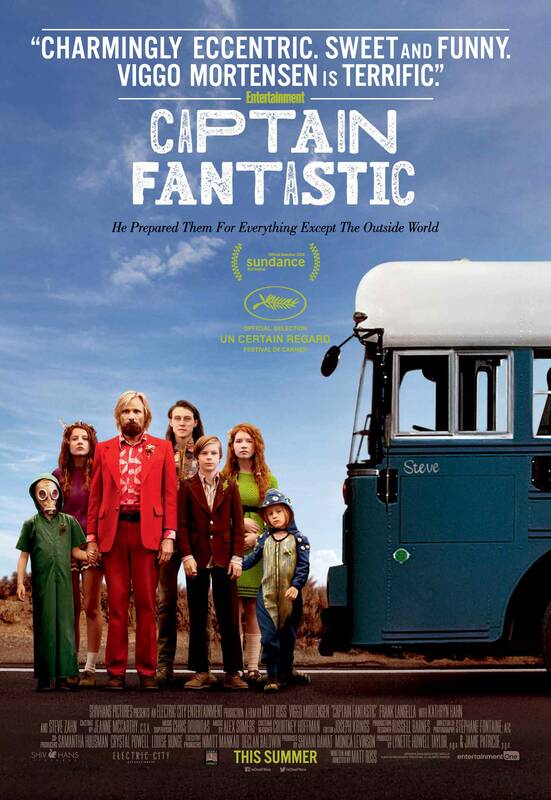 http://www.mrwillwong.com/captainfantastic @MRWILLW wants us to #win Advance Passes to see #CAPTAINFANTASTIC! eOne Films release CAPTAIN FANTASTIC in Toronto Friday, July 15, 2016 and select cities Friday, July 22 and Friday July 29, 2016. It absolutely is our favourite time of the year again and announced this morning is the official list of Talent coming to Toronto for TIFF ’14! We look forward to seeing plenty of returning names – some just here last year like the likes of Jennifer Aniston and Kate Winslet – and also plenty of Stars from years past making their way back here once more! Jon Stewart, Martin Scorcese, Richard Gere, Andrew Garfield, Viggo Mortensen, Gael Garcia Bernal, James Franco, Jane Fonda, Chloë Moretz, Brit Marling, Laura Dern, Charlotte Gainsbourg, Vanessa Redgrave, Vera Farmiga, Al Pacino, Tina Fey, Haley Joel Osment, Robert Pattinson, Ansel Elgort, Alice Eve, Sam Rockwell, Amanda Seyfried, Michael Shannon, Dax Sheppard, Robert Duvall, Ben Stiller, Robert Downey Jr., Hailee Steinfield, Justin Chatwin, Method Man, Jennifer Connelly, Bobby Cannavale, Kuoth Wiel, Cassie Williams, Danny Webb, Dominic West, Jung Woo-Sung, John Boylan, Sam Worthington, Tye Sheridan, Andrew Scott, Timothy Spall, Alan Rickman, Connie Britton, Reese Witherspoon, Evan Bird, Zhao Wei, Han Ye-Ri, Melissa Benoist, Haley Bennett, Sonja Bennett, John Travolta, Julianne Moore, Isaach De Bankolé, Dan Stevens, Jason Bateman, Corey Stoll, Xavier Dolan, Peter Stormare, Ben Schnetzer, Abigail Spencer, Ellen Barkin, Bill Pullman, Charlotte Aubin, Kate Winslet, Ryan Reynolds, Rene Russo, Roger Waters, Simon Pegg, Rosamund Pike, Loreto Aravena, Tobey Maguire, Aubrey Plaza, Tobey Maguire, Gemma Arterton, Juliette Binoche, Zhang Yimou, Rosemarie DeWitt, Kristen Wiig, Adam Sandler, Rose Byrne, Channing Tatum, Chris Evans, Jake Gyllenhaal, Dustin Hoffman, Mark Ruffalo, Bill Murray, Daniel Barber, Liam Aiken, Mike Leigh, Olivier Assayas, Richard LaGravenese, Diane Keaton, Kevin Kline, Anna Kendrick, Morgan Freeman, Benicio del Toro, Michael Douglas, Rosario Dawson, Chris Rock, John Cusack, Benedict Cumberbatch, Octavia Spencer, Keira Knightley, Nikolaj Coster-Waldau, Kevin Costner, Anthony Mackie, Patricia Clarkson, J.K. Simmons, Miles Teller, Priyanka Chopra, Daniel Bruhl, Michael Winterbottom, Justin Chon, Steve Carell, Gong Li, Hayden Christensen, Tory Kittles, Jordana Brewster, Holliday Grainger, Max Irons, Lone Scherfig, Sam Claflin, Douglas Booth, Paul Bettany, Daniel Barnz, Noah Baumbach, Barry Avrich, Jennifer Aniston, Akon, Nick Kroll, Holly Hunter, Catherine Keener, Greta Gerwig, Omar Sy Jennifer Garner, Salma Hayek, Kevin Smith, Eddie Redmayne, Felicity Jones, Faye Marsay, Bill Nighy, Justin Long, Christopher Plummer, Marton Csokas, David Cronenberg, Sarah Gadon, Tom Schilling, Tom Hardy and more! TIFF also will be hosting a series of In-Conversations-With as part of their Mavericks Programme. Joining-in are the likes of Reese Witherspoon, Robert Duvall, Denzel Washington, Richard Gere, Juliette Binoche, Jon Stewart, Dan Savage, Julie Taymor and several more! As is the case always, it’s sometimes not just who’s coming – it’s who they’re bringing. Don’t be surprised if Jennifer Garner brings Husband Ben Affleck along and be warned if Andrew Garfield brings Emma Stone along! Who’s on our list of Must-Meets? Plenty! We hope finally to get a positive moment with Reese Witherspoon and Kate Winslet! Excited about Martin Scorcese, J.K. Simmons, Bobby Cannavale, Miles Teller, Corey Stoll, Tobey Maguire, Rose Byrne, Michael Douglas and newer names like Max Irons and Douglas Booth, that’s for sure. And did we read TINA FEY!?!? Finally! AND WHERE IS TOM HARDY?!?! The list is always subject to surprise and no-shows as we know all too well! Visit the official TIFF Website for more. TIFF ’14 runs September 3 – 14, 2014. The King and I, indeed. Lord of the Rings Star Viggo Mortensen was has enjoyed an extended stay in Toronto for TIFF 2012 and just left earlier today after promoting two Films here: On the Road (alongside Kristen Stewart) and Everybody Has a Plan. Mortensen who never has been shy about his love for Canada, was seen chatting on the Patio of his Hotel before coming over for a quick Snap. Honour.